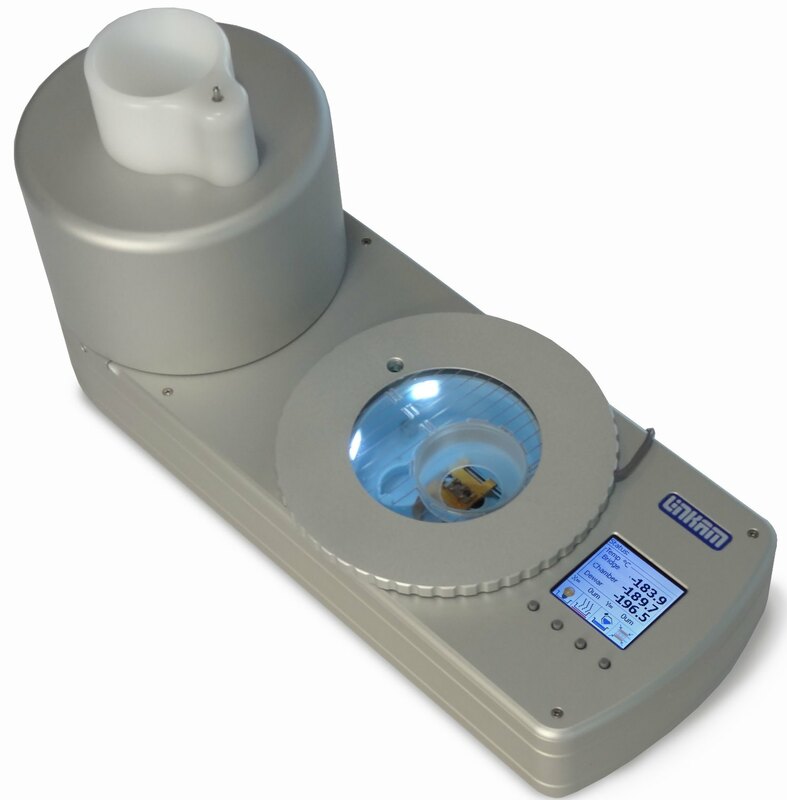 Linkam Scientific Instruments has recently launched the CMS196M for enhanced cryo-correlative microscopy with greatly improved workflow. The company has been developing cryo stages for correlative microscopy for many years and continues to be at the forefront of cryo-correlative microscopy with the latest update of its Link software for the CMS196M, providing improved imaging capabilities and the new liquid nitrogen autofill system providing longer run times. Cryo-correlative microscopy has become an established technique in recent years. It brings together the strengths of both electron and light (fluorescence) microscopy. Electron microscopy (EM) provides structural information at very high resolution. However, it can give only restricted insight into biological and chemical processes due to limitations in staining and sample preparation processes. On the other hand, fluorescence microscopy is an extremely sensitive technique to detect biological, chemical and genetic processes as well as events inside living cells. Cryo-Clem brings it all together: combining the individual advantages from both fluorescence and EM by imaging the same sample location with both techniques and superimposing the complementary information. For biological samples to be compatible with the vacuum conditions found in EM and preserve the structural detail, samples are embedded in vitrified ‘glass-like’ ice and need to be kept below -140°C. Any contact with moisture contained in the air has to be avoided since ice crystals would form immediately and contaminate the sample. Under cryo conditions, the fluorescence signals providing structural detail is preserved and photo bleaching is significantly reduced. Link software for the CMS196 provides complete control and monitoring of the system as well as fully automated tiled image capture. The integrated, encoded, high-resolution motorised XY stage gives the ability to capture an image of the entire EM grid at full resolution. The system produces a single image of the EM grid that can then be used to navigate the sample and save co-ordinates of areas of interest making it easy to image the same area when the sample is transferred to the EM. In addition, Link can now be supplied with an extremely cost effective, high sensitivity monochrome camera ideal for low light fluorescence imaging.